This is my take on the classic European sauerkraut soup. 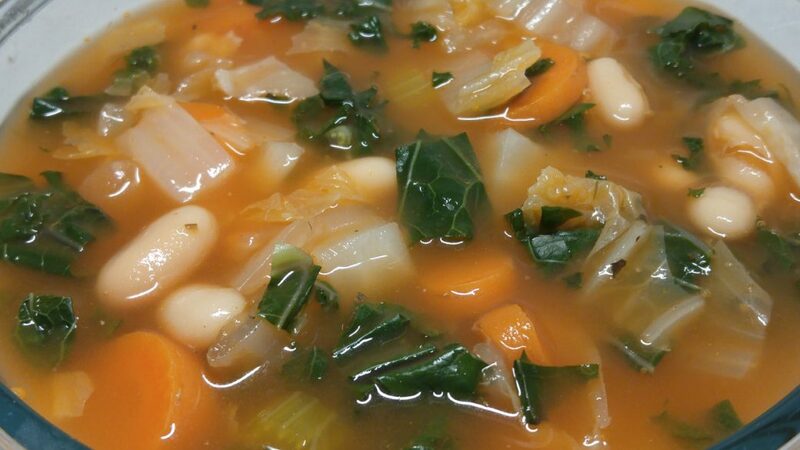 Napa cabbage, kale, carrots, celery, and cannellini beans in a rich, slightly tangy broth. Ready in less than 30 minutes. Combine all the ingredients in a medium saucepan. Bring to a rolling boil then reduce the heat to a simmer, cover and let cook for 15 minutes.